Hewlett-Packard once relied on Beats for audio technology in its PCs and tablets, but that was before Apple acquired it. HP has now found a new audio partner in Bang & Olufsen. HP will use Bang & Olufsen audio technology to its PCs, tablets and accessories. The companies will “custom tune” audio for each PC model; different models typically have different hardware specifications in order to meet different expectations. For example, a gaming laptop typically delivers more booming sound than a low-cost laptop. HP will put the Bang & Olufsen brand on the high-end Spectre, Omen, Envy and some other commercial PCs. The B&O Play label will be on lower-cost Pavilion PCs and tablets. The companies will also resell audio Bang & Olufsen accessories for HP hardware. The first Bang & Olufsen branded PCs will appear this spring, HP said. The PCs will likely have a sticker attached or logo engraved on them to highlight the audio technology, similar to stickers for operating systems and processors widely found on laptops and desktops. HP for a long time partnered with Beats for audio in PCs as well as some all-in-ones. HP laptops still sell on HP’s website with the Beats brand on it. But the partnership crumbled after Apple acquired Beats for $3 billion last year. 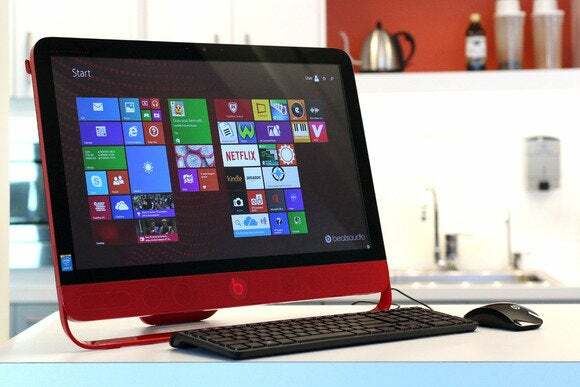 After the acquisition, HP stopped attaching Beats logos or brand names to its PCs, and instead started saying it was using homegrown audio technology. At the launch of the recent HP Spectre X360 last month, an HP executive declined to tell the IDG News Service whether the homegrown technology was influenced by Beats, or if it had Beats amplifiers in them. HP has excellent in-house technology to boost audio in PCs, said Mike Nash, vice president of product management for consumer personal systems, at the time. Audio is becoming more significant in PCs and tablets, particularly with more music and movie streaming services now available. The partnership will Bang & Olufsen will fill a big audio hole left by Beats in HP’s PC and tablet lineup. HP will work with Bang & Olufsen to develop audio circuitry that will go on PC motherboards.